Grace loves sweet potatoes! Forgive the blurry photo. I am iPhone only these days! The bad news is that I spent the weekend eating wheat products in hopes of increasing my milk supply. The good news is that I am now super clear on what types of food utterly destroy me when eaten in any sort of quantity. Sweet potatoes. Butternut squash. Pears. Collard greens. Carrots. Plantains. Bananas. And one tray of oatmeal, to mix in as her appetite continues to grow. Yeah, she’s gonna eat better than I do. :-P One of the best things about being back in the States is how damn easy it is to find an enormous variety of fruits and vegetables. And also, being able to mix in water from the tap to get the consistency of my purees right. SO MUCH EASIER. I love America! 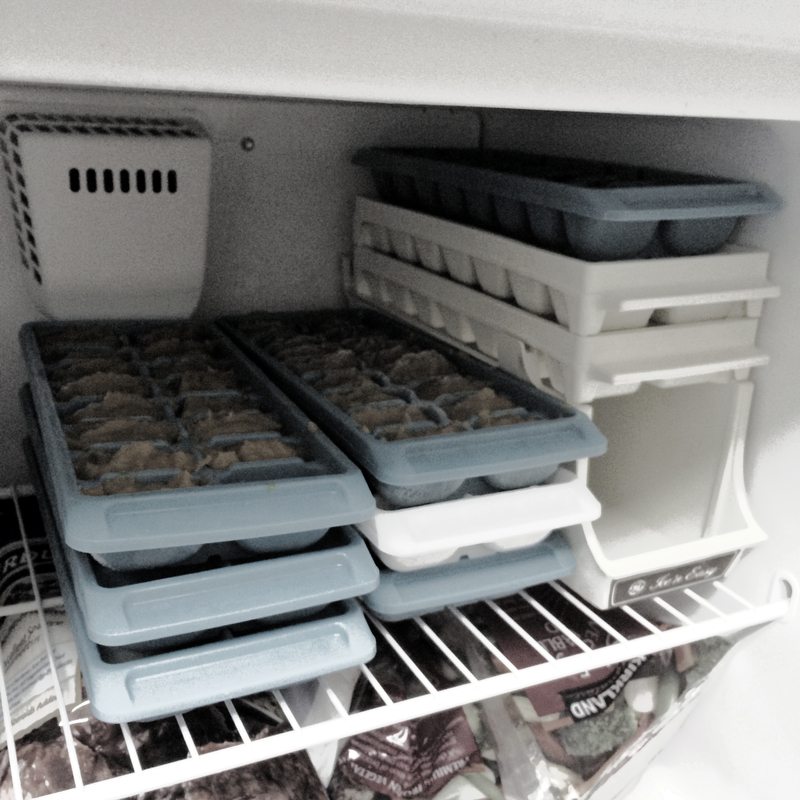 In any case, if the apocalypse comes tomorrow, I have enough frozen purees to last us awhile. And if it doesn’t, then I still won’t need to do this again for several weeks. Hellsyeah. Are you drinking lots of almond milk? Along with oatmeal that seems to be the most effective for supply issues among most of the moms I know, plus it’s pretty low calorie! 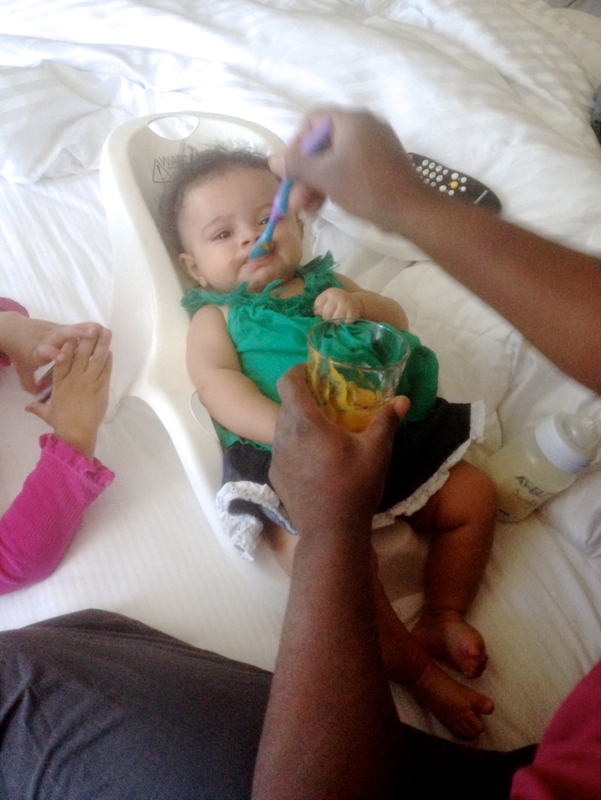 Though sounds like she has a healthy appetite for solids, which is awesome! Jonah thinks he’s too good for anything but sweet potatoes. I am not worried so much about calories these days as not tearing my insides up (so to speak). I will have to try the almond milk! SO HAPPY to be back in the States where those sorts of things are readily available.